The late spring combination of warmer temperatures and al fresco dining leads many to opt for lighter fare. 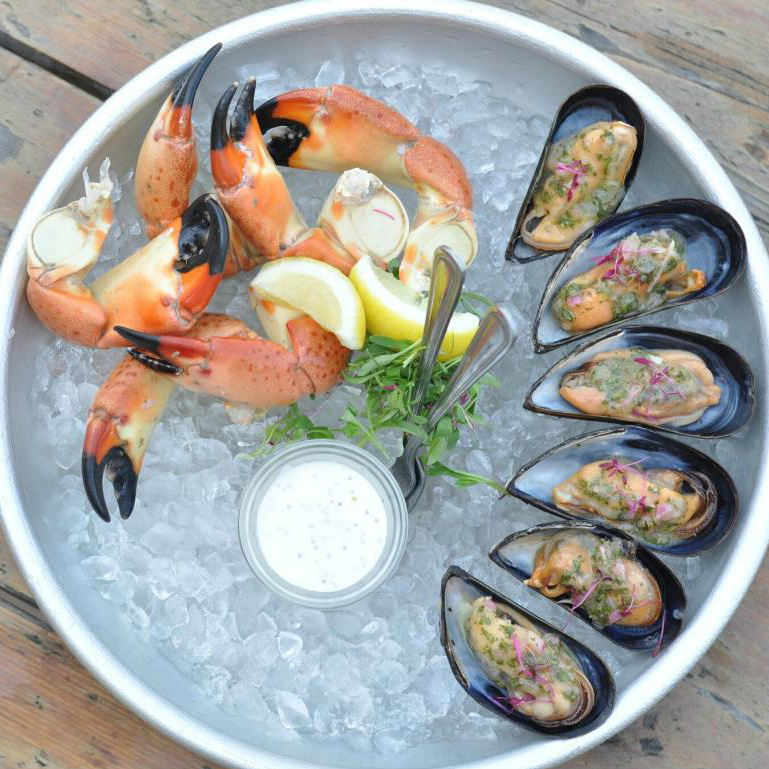 Seafood is a perfect match for the season, especially when paired with a cold local beer or a smart white wine. 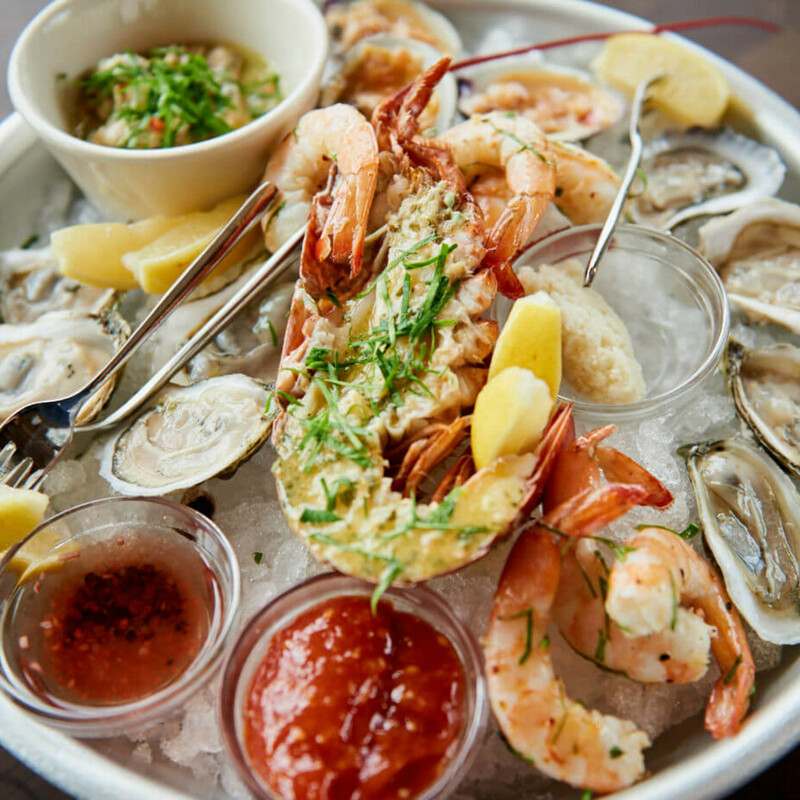 Here are our favorite spots for the city's best seafood, representing a range of styles and price points to suit all diners. This “Latin coastal” offering from the team behind El Chile sits in an unassuming South First space near Oltorf. The menu is lengthy and takes a bit of time to navigate: There’s a lot going on here. 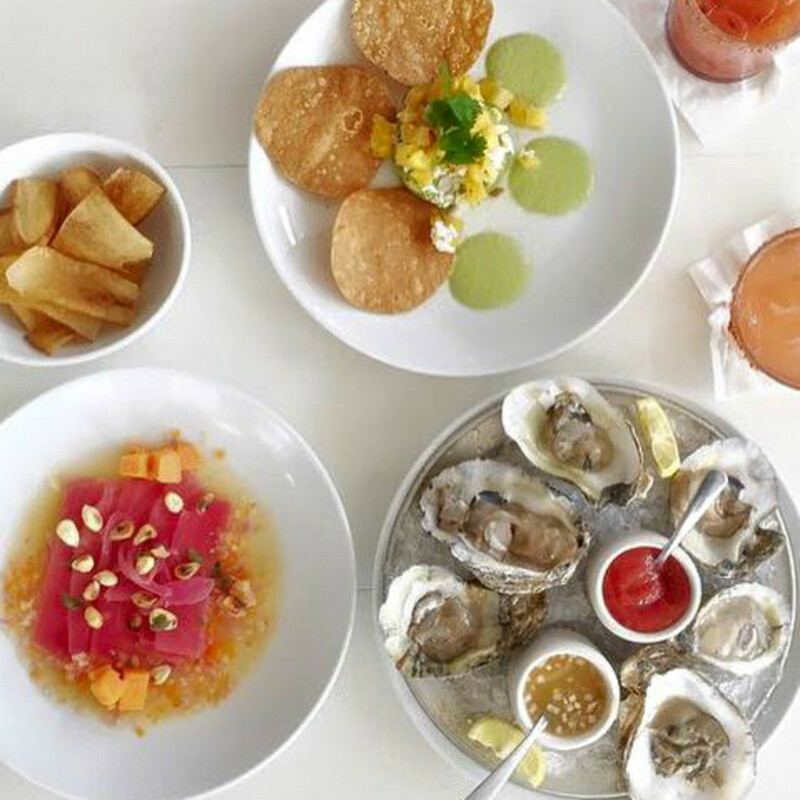 A hearty appetizer section runs the gamut from classics like crab cakes and grilled calamari to newer interpretations like grilled pastor octopus tostadas and a ceviche verde of corvina with green olives, tomatillo, and jicama. At lunch, there are steak or soft shell crab tortas with an optional fried egg add-on, or diners can opt for grilled tuna tostadas or lobster taquitos. There’s also a lovely and comforting shrimp pozole rojo worth trying. Behind the bar, cocktails are the focus: order tequila, sotol, or mezcal drinks here. Our favorites include the Coyoacán (Del Maguey mezcal with hibiscus, lime, and agave) and the Norteño (sotol with Aperol and burlesque bitters). Note that the happy hour (3 to 7 pm daily) is excellent and features a large selection of discounted appetizers and cocktails. 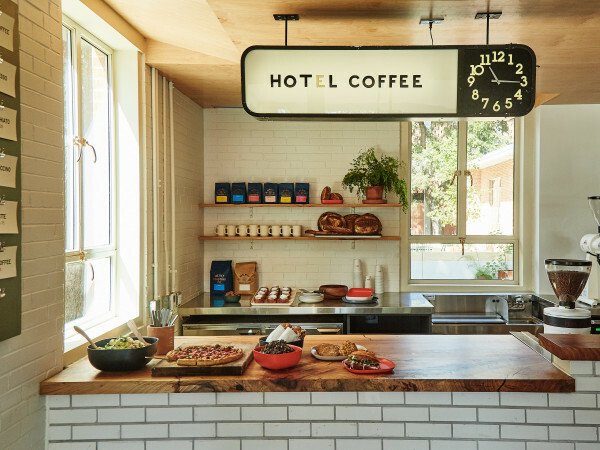 The more upscale of the South Congress Hotel flagship restaurants, Central Standard feels much like a two-hour trip to the East Coast. 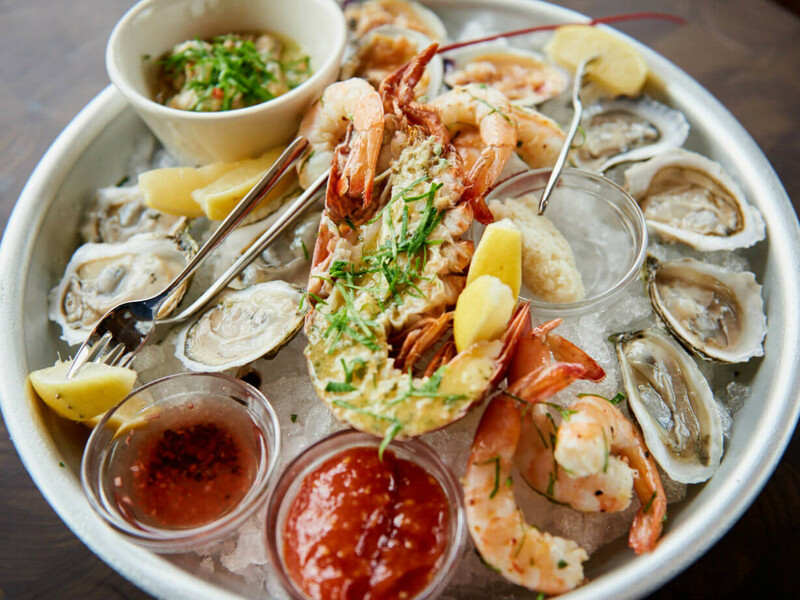 The design elements evoke the best features of Boston’s oyster bars, with oysters from the raw bar and massive shareable seafood platters for those willing to splurge. Chilled seafood is just the start of what’s available from the maritime world: There’s a massive Texas redfish with braised artichokes and a grilled mahimahi with fennel skewers and potatoes. While some carnivorous dishes are here (we dug the wagyu tartare), few Austin restaurant's lead with seafood as assertively as Central Standard. As is often the case at hotel bars, cocktails lean a bit sweet, so opt for beer or wine selections so as not to overwhelm your dish. Management from New Waterloo (Sway, La Condesa) means that service is nearly always on point and professional. Let’s get this out of the way: Clark’s is rather petite. Envisioned as a twin sister to Perla’s for the smart Clarksville set, the restaurant exudes a more upscale flair than its popular South Congress counterpart. 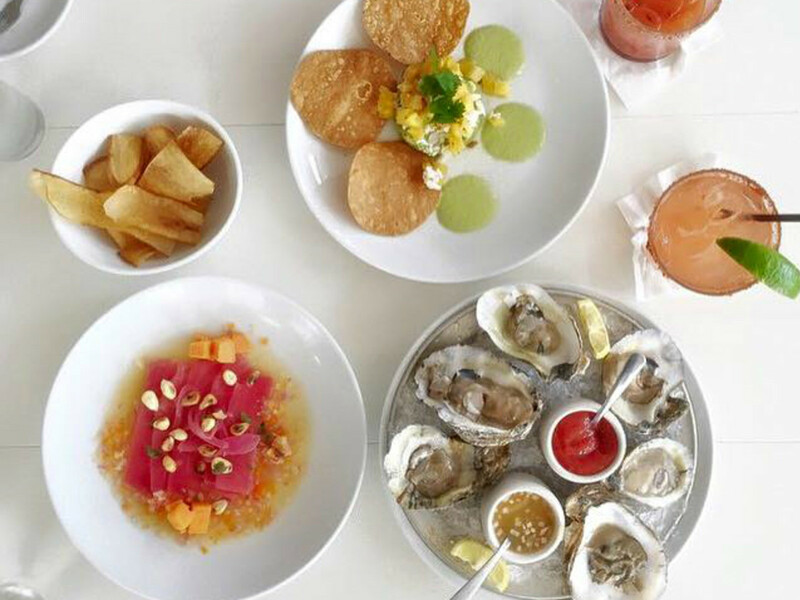 Lunch is an indulgent delight: Our favorites include the dressed oysters with vinaigrette, mint, and shallots, along with the nicely executed clam chowder and the rich snapper ceviche served with golden roe and serrano peppers. Raw oyster fans can go nuts — the menu usually features over 15 different varietals. If you prefer snacking to main courses, there’s also a lengthy list of sides like grilled kale, crab “shells and cheese,” and grits with butter and Parmesan to round out your meal. White wine is the go-to drink order here, and Clark’s has great taste: The Massican Annia white blend and the mineral-driven Rebholz Pfalz Riesling are both versatile winners. Weekend happy hour (3 to 6 pm) offers half-price bottles of wine and $5 oyster shooters. After somehow convincing Austin’s notoriously frugal diners that lobster rolls from a food truck were worth splashing out on, the Garbo’s team has taken on a challenge of a different sort: bringing smart seafood dining to Wells Branch. North Austin would be wise to visit, as there is much to enjoy here. A seasonal oyster selection kicks off a generous small plates section, with offerings ranging from fried calamari to crab cakes and clam chowder. The signature Connecticut and Maine lobster rolls are here as well, served simply with fries and a pickled vegetable garnish. The smoked fish dip and raw oysters are strong choices as well. Tucked away in a Clarksville-area mixed-use building, Liberty Kitchen has quietly built a crowd of regulars since opening roughly a year ago. 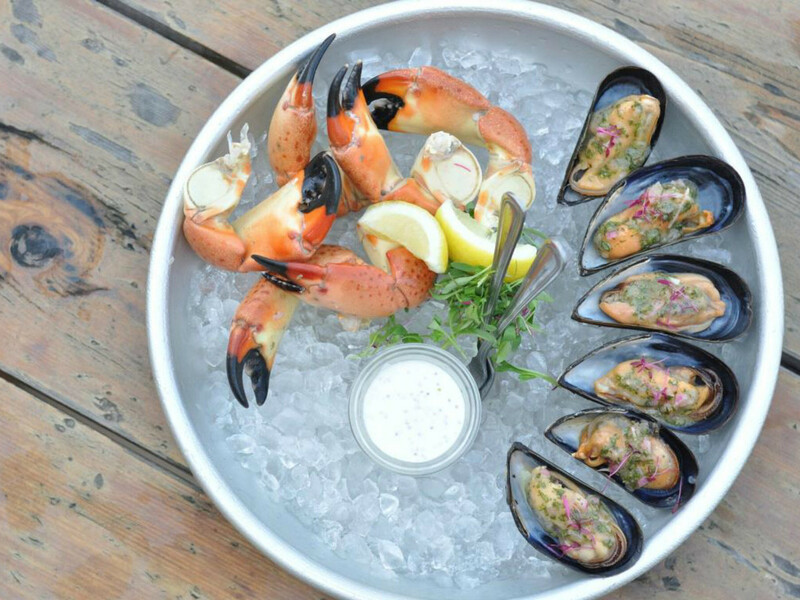 The restaurant focuses on the middle tier of the seafood market, with a bistro-style setting built for group dinners or casual nights out. 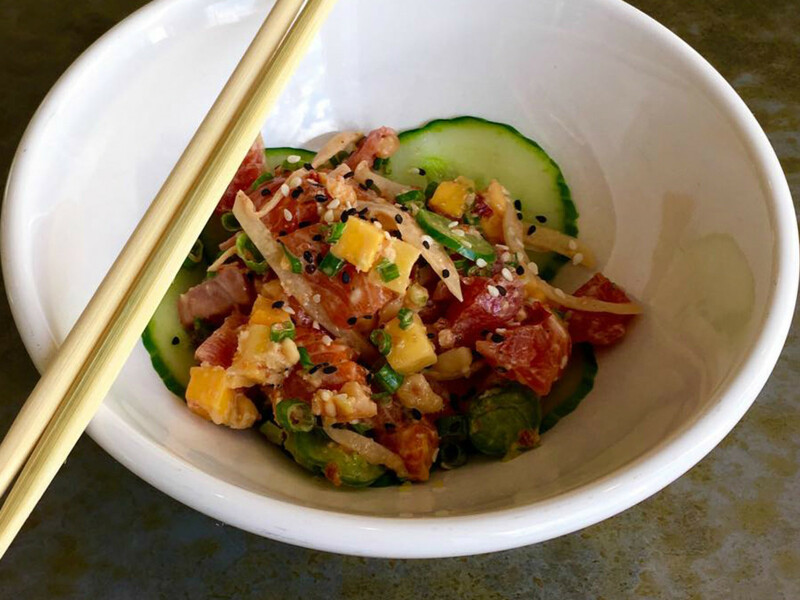 The restaurant’s runaway hit appetizer is the Hawaiian poke bowl, which can be ordered with tuna, salmon, or veggies. Diners can choose a rice or cucumber base, then add tamari or spicy mayo and extras like mango, avocado, and ginger. Oysters are a value, with Gulf oysters priced at a mere $18 per dozen and Wellfleets just $1 each during happy hour. The happy hour (Tuesday through Friday, 3 to 6 pm) extends to the drink menu, with $5 Ford’s gin or Dripping Springs vodka martinis and $4 wine available. Parents take note: There’s an $8 kid’s combo here (pasta, cheeseburger, or grilled cheese) if you’d like to indulge on seafood but your kids prefer not to. Lunch at Mongers is a leisurely pursuit. There’s a lot to choose from, at reasonable pricing to boot. On a recent visit, we started with the ahi poke, served in a ramekin surrounded by ice and accompanied with saltines. The smoked fish dip was another hit, with a portion generous enough for four to share. The restaurant’s seafood gumbo paired fresh okra with succulent crab meat to wonderful effect, limiting the rich broth in favor of a seafood and veggie-heavy presentation. The barbecue Gulf shrimp with tasso ham was generously portioned but rather difficult to navigate: The combination of head-on shrimp and a brown sauce with Worcestershire was tasty but messy, and perhaps not a dish you’d wish to attempt on a first date or working lunch. The wine list is approachable, with familiar names like Alsace’s Pierre Sparr and Argentina’s Colomé among the selections. Most tables washed their fare down with beer on our trip: Several Texas selections are on draft. 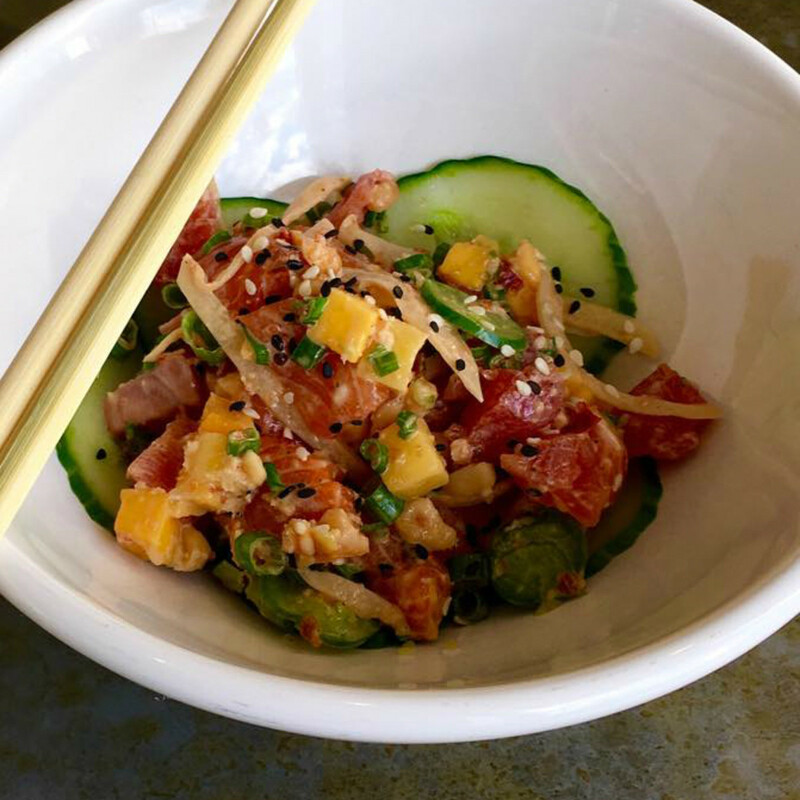 A weekday happy hour (4 to 6 pm) offers $6 ahi poke tacos, blue crab fingers, and fried Gulf shrimp, and $5 glasses of wine to pair them with. The Old Austin vibes of Quality Seafood still draw a crowd, a full 46 years after the current location opened on Airport Boulevard. 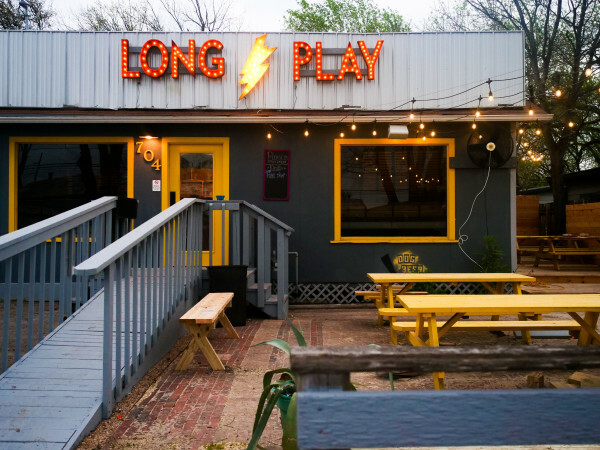 This is as close to a Galveston fish shack as you’ll find in town — there are peel-and-eat shrimp, calamari with marinara sauce, po’boys, and a wide selection of fried and broiled seafood plates. 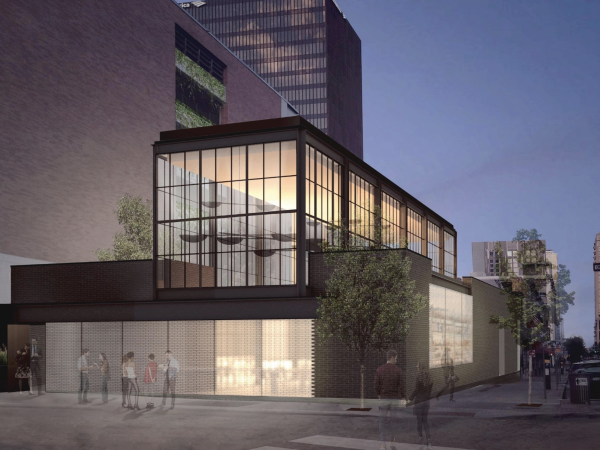 This is decidedly casual dining, with popular nightly specials like $3 taco Tuesdays (with $2 draft beers) and $8-per-pound crawfish Thursdays when in season. In addition to the in-house dining, there’s a fish market for those who prefer to cook their feasts at home. Farmers market visitors should note that Quality Seafood also has a catering truck that visits the Lago Vista and Wolf Ranch markets most weeks.